Life as a freelancer means there’s always work to be done. Freelancers must pitch clients, conduct research, maintain a list of leads and frequent contacts, and make time for personal endeavors. Freelancers must maintain a specific schedule and budget in order to be successful and avoid being overwhelmed with multiple tasks. There are numerous online tools and apps available to assist new and established freelancers. Through the use of telephone applications and computer software, freelancers can grow their business and maintain loyal clients. To attract a steady influx of freelance work, being creative and memorable is important. Furthermore, standing out as a freelancer includes offering outstanding services and having professional appeal. There are various reasons why virtual numbers are a great option for freelancers, including the fact that most freelance work is done online. If you are currently freelancing or considering freelance work, here are some of the reasons to consider virtual numbers. A second reason why virtual numbers are a great option for freelancers is convenience. Virtual phone numbers provide convenience because they have a variety of features that help freelancers to get more work done with greater efficiency. For example, a freelancer might use virtual numbers with voice messaging because messages can be saved and sent as emails. Sending a voicemail as a transcribed email allows a freelancer to create reminders and quickly respond via text or email if speaking over the phone isn’t an immediate option. Here’s another reason why virtual numbers are a great option for freelancers: A freelancer can also use a virtual phone number to keep personal information secure. It’s very important to protect your personal information by keeping your address and phone number private. When using a virtual phone number, you maintain privacy and stay responsive. Freelancers can also receive and reply to texts and make phone calls. Marketing is critical for a freelancer because freelancing is a competitive business. Surprisingly, many freelancers are still using their personal information when they advertise and approach clients. Pitching to clients and publications with your personal cell phone number or home phone could make you seem like an amateur, especially when reaching out to prestigious clients. Standing out in your market is also why virtual numbers are a great option for freelancers. Because you are working as a freelancer, trust is especially important. Having a virtual number shows that you are serious about your services and brand. Remember that a freelancer is an individual, so establishing trust and showing that you are accessible and reliable will attract new clients and help you build a profitable reputation. The majority of freelancers rely on online marketing. Therefore, a phone number that limits outreach due to location can be a financial downfall. Freelance professionals want potential clients to focus on their skills and abilities, not location. 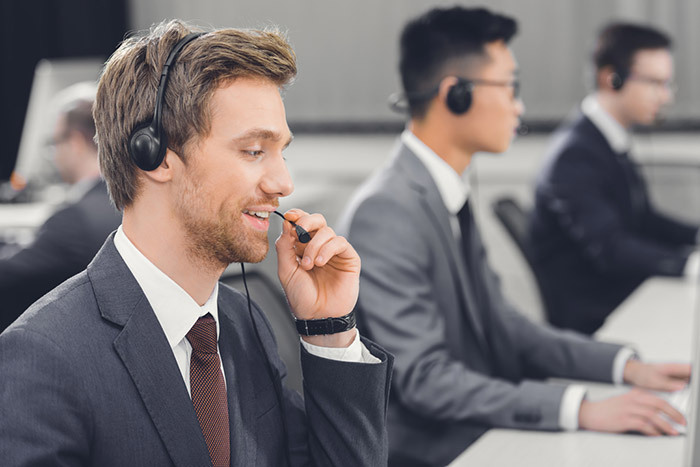 A virtual phone number remedies this, and such options as toll free numbers and vanity numbers enable even greater versatility and marketing capabilities. Using a toll free number online and pairing it with a vanity number makes a freelancer more marketable because the business will appear more professional and fun. A vanity number replaces a traditional phone number using numerical digits with letters or a word, which is much easier to remember. As freelancers work to gain more visibility online, attracting clients without paid advertisements is most ideal. Using a vanity phone number is a great way to organically generate referrals because you will have a way to market vanity numbers. One of the greatest advantages of being a freelancer is working from home, or any destination you prefer, such as a coffee shop, a bookstore, or while traveling. There’s no need for a lease or purchasing a building for office space; freelancers can be mobile without missing a beat. Commuting and traveling doesn’t mean your freelance business has to be put on hold. With virtual numbers, you won’t miss a beat. Many freelancers work alone, but some decide to partner with an agency (or build an agency from the ground up). If you decide to expand your personal freelancing experience into a company, your virtual phone number can be used to create extension lines for your team. Adding to the reasons why virtual numbers are a great option for freelancers is that virtual phone numbers can also save important information for uploading to the cloud. Storing information online is critical as a freelancer. With cloud storage, freelancers can access files from any location. Cloud technology is also beneficial because computer crashes and lost documents can cause unexpected delays and threaten professional relationships because your associates and clients may question your abilities as a business owner. Freelancing offers flexibility to make your own schedule, while doing the work you love. Along the way, you can build long-term relationships with clients that truly value your services. As you learn why virtual numbers are a great option for freelancers, take time to shop for the right provider before purchasing a virtual phone number. Lastly, consider a customized package that best fits your business needs. Failing to address the challenges that arise when companies due to poor communication within a company is a recipe for disaster. Miscommunication leads to losses in productivity, creates tension amongst coworkers, and results in a higher turnover rate. Overlooking internal communication issues in your company also makes the hiring process much more difficult because the lack of communication makes it harder to translate company goals to new team members. When a new hire is brought into the business, it’s difficult for the individual to learn or seek guidance from other team members because there isn’t a clear path to follow or specific strategies for success. Furthermore, team members will not know how to properly represent the company. Why is improving internal communications in your company so critical? There are many answers to this question, but one of the main reasons would be harmony and balance must exist between coworkers and management to build trust and encourage open, honest dialogue. A lack of proper communication has a major impact on productivity and it can be the difference between reaching company goals and falling short on completing critical tasks. Another negative impact of miscommunication is a high turnover rate. Turnovers cause companies of all sizes to lose money because the business must invest in the hiring and onboarding process, not to mention the training and compensation of new employees. When a new hire leaves unexpectedly, the process must start over and it will require more funding. When this happens on a frequent basis, the high turnover rate also brings the integrity and management of the company into question. Many business owners wonder what specific methods can be implemented to improve internal communications in your company. This answer will depend on your unique company structure and team, but there are actions that every company should take to improve their ways of communicating. Internal communication can be improved in your company with the right mindset, transparency, and the use of technology. Whether your business is large or small, communication is key. 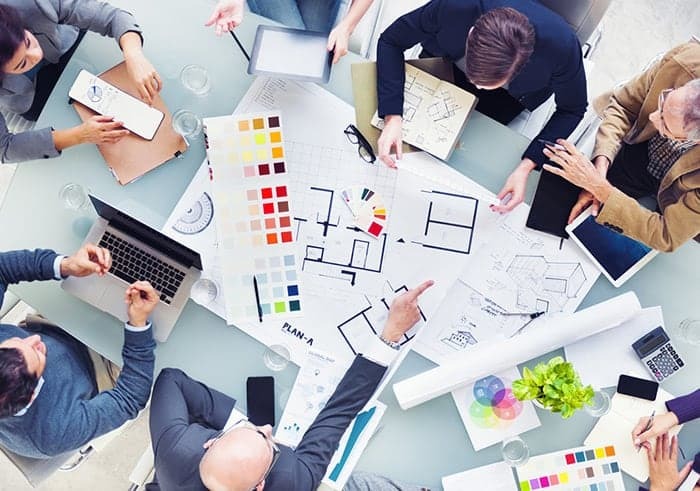 These key methods should be helpful for companies striving to communicate and improve their workplace with more clarity and efficiency. One of the biggest communication errors companies make is deciding to use a middleman to relay information. This can go wrong for various reasons. If communicating information between select employees, they may not understand the importance of making sure that everyone on the team receives the message. With so many daily tasks to handle, it’s easy for team members to forget sharing information that is not related to the immediate task at hand. Another conflict that may arise from handing off information and priority documents to specific employees is the possibility of favoritism. If your staff feels that only one person or a few people on staff can be trusted with sensitive information, it may result in tension in the workplace. Hence, another reason improving internal communications in your company will be necessary. Maintaining a high level of transparency through the use of technology is the best way to avoid communication gaps. This is crucial for improving internal communications in your company. There is a wide selection of cloud technology that will allow managers to quickly upload important documents and notes so that all employees can access with just a username and password. When looking to share quick notes and attachments, there is the option of Dropbox, along with team messaging services such as Slack and WhatsApp for constant convenient communication. These apps also allow employees to give their input and ask questions in real time and read responses on similar topics. Consistent meetings are great for improving internal communications in your company. Just as the internet allows companies to share important documents, businesses can also use online technology to host online meetings, which is especially beneficial if you are working with remote teams. Remote teams will not be able to attend most company meetups due to their location or time zone differences, however, this can be easily supported. The best way to make meetings convenient and cost-free for everyone is by using cloud phone numbers for conference calls or video messaging. Employees appreciate this because a feeling of inclusion through the sharing of information is great for team morale. Hosting meetings online makes sure that everyone has access to the same information, eliminating silos and hierarchy. Hierarchical environments can make employees feel isolated, and this can make everyone more reluctant to communicate openly. This resentment often results in a loss of motivation and prolongs the time it takes for teams to take action and achieve success. You know your company goals and mission, but do your employees know? When your aim is improving internal communications in your company, this is really important to set a foundation. Discuss company goals in meetings and have your company mission statement clearly visible in the workspace and online. These reminders will help keep everyone on track while helping employees better assist customers. Understanding a company’s goals and mission creates a better customer service experience because representatives will demonstrate more confidence in their role and product knowledge. 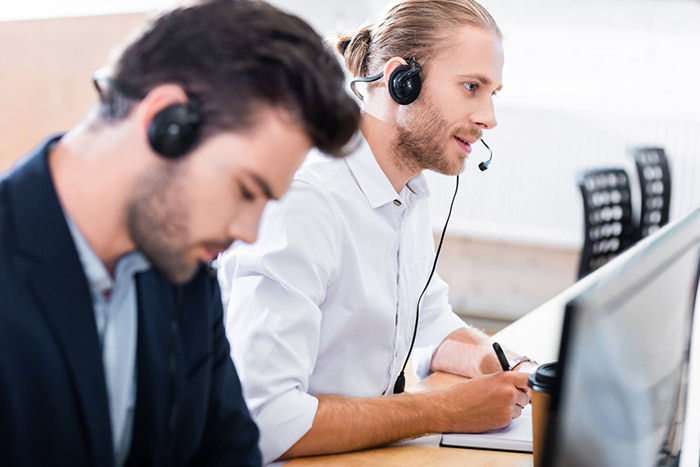 Along with in-depth knowledge, customer service associates will be able to provide support while respecting the tone and communication style of the brand.